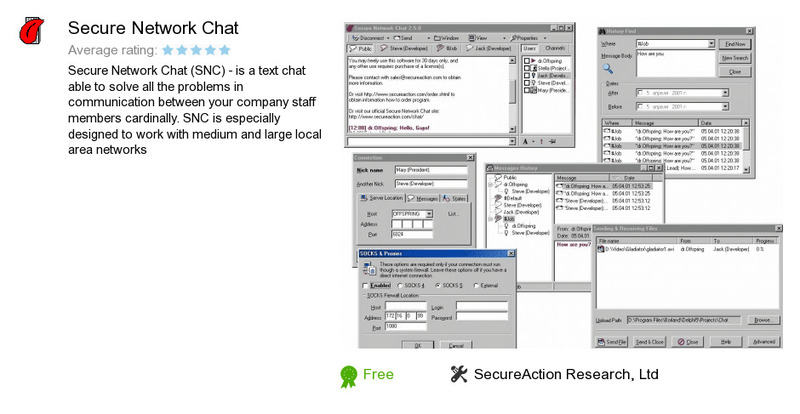 Secure Network Chat is a program developed by SecureAction Research, Ltd. We know of version 2.6. Version 2.6 is downloadable at our site. Secure Network Chat distributive has a size of 8,047,850 bytes.